COLUMBUS, Ohio, July 28, 2018 – 2016 Olympic all-around champion Simone Biles of Houston/World Champions Centre picked up where she left off nearly two years ago. 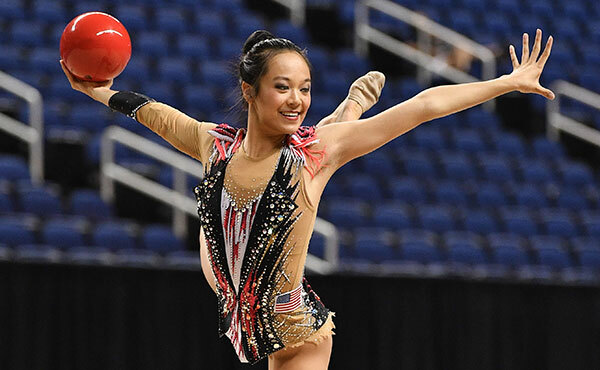 In her first event since the 2016 Olympic Games, she won the senior all-around crown at the 2018 GK U.S. Classic at the Schottenstein Center in Columbus, Ohio. Leanne Wong of Overland Park, Kansas/Great American Gymnastics Express, won the junior all-around title. Four seniors and seven juniors qualified for the U.S. 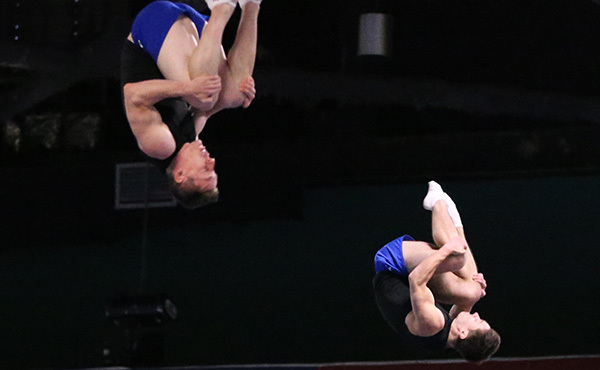 Gymnastics Championships, Aug.16-19, at Boston’s TD Garden. Biles took the senior all-around title with a 58.700 total, which is reportedly the highest all-around posted this year. Riley McCusker of Brielle, N.J./MG Elite, tallied a 57.500 for second, with 2017 World all-around champion Morgan Hurd of Middletown, Del./First State Gymnastics, rounding out the top three at 56.350. 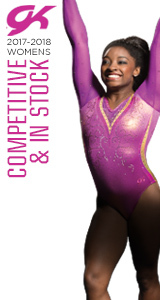 Biles also won two of the four event titles, balance beam, 15.200, and floor exercise, 14.750. 2017 World vault silver-medalist Jade Carey of Phoenix, Ariz./Arizona Sunrays, won the vault title, with a 14.450 for her two-vault average. McCusker won the uneven bars gold with a 15.000. Biles’ performance also punched her ticket to the 2018 U.S. Gymnastics Championships. Three other seniors also qualified: Sloane Blakely, Frisco, Texas/WOGA Gymnastics; Luisa Blanco, Little Elm, Texas/WOGA Gymnastics; and Jaylene Gilstrap, McKinney, Texas/Metroplex Gymnastics. In the junior division, Wong won the all-around with a 55.350 total. Kayla DiCello of Boyds, Md./Hill’s Gymnastics, earned the all-around silver at 54.000, and Jordan Bowers of Lincoln, Neb./Solid Rock Gymnastics, was third at 53.850. 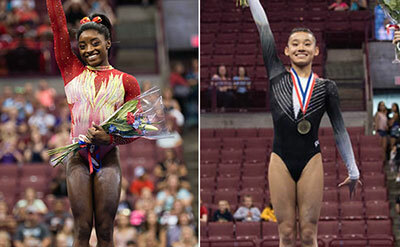 The junior event champions were: Wong – vault, 14.650, and floor, 13.400; DiCello, uneven bars, 14.300; and Sunisa Lee of St. Paul, Minn./Midwest Gymnastics Center, balance beam, 14.000. 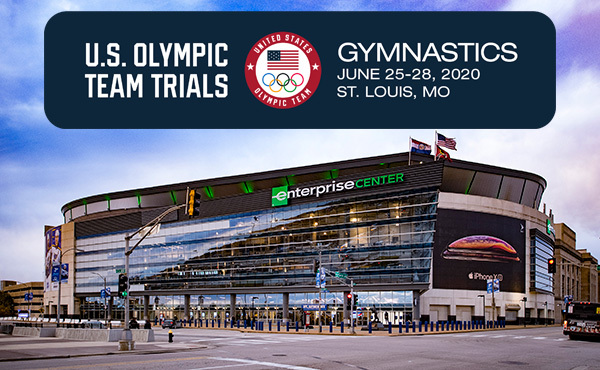 The junior athletes who advanced to the U.S. Championships are: Sophia Butler, Houston, Texas/Discover Gymnastics Inc.; Kailin Chio, Henderson, Nev./Gymcats Gymnastics; Claire Dean, Oakland, Calif./Head Over Heels; Selena Harris, Henderson, Nev./Gymcats Gymnastics; Alexis Jeffrey, Warrensburg, Mo./Great American Gymnastics Express; Brenna Neault, Rancho Cucamonga, Calif./Precision Gymnastics; and Katelyn Rosen, Boerne, Texas/Mavericks at Artemovs. The complete women’s field for the U.S. 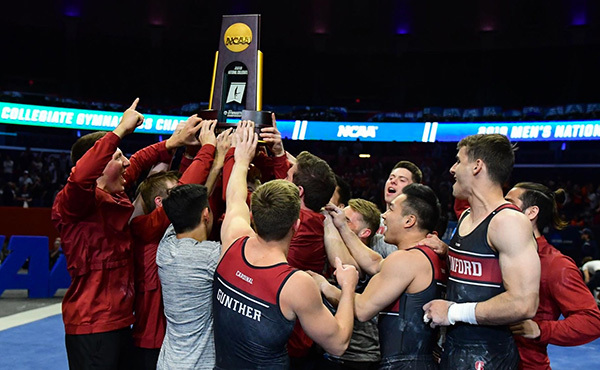 Gymnastics Championships will be announced in the near future. Event scores for the top five in the all-around rankings. Simone Biles, 58.700 total: 58.700, all-around; 15.400, vault; 15.200, uneven bars; 13.350, balance beam; 14.750, floor exercise. Riley McCusker, 57.500 total: 57.500, all-around; 14.350, vault; 15.000, uneven bars; 14.550, balance beam; 13.600, floor exercise. Morgan Hurd, 56.350 total: 56.350, all-around; 14.400, vault; 14.700, uneven bars; 13.400, balance beam; 13.850, floor exercise. Shilese Jones, Westerville, Ohio/Future Gymnastics Academy, 54.900 total: 54.900, all-around; 14.550, vault; 13.850, uneven bars; 13.200, balance beam; 13.300, floor exercise. Alyona Shchennikova, Evergreen, Colo./5280 Gymnastics, 53.900 total: 53.900, all-around; 13.900, vault; 14.900, uneven bars; 13.400, balance beam; 11.700, floor exercise. Leanne Wong, 55.350 total: 55.350, all-around; 14.650, vault; 13.600, uneven bars; 13.700, balance beam; 13.400, floor exercise. Kayla DiCello, 54.000 total: 54.000, all-around; 14.600, vault; 14.300, uneven bars; 12.050, balance beam; 13.050, floor exercise. 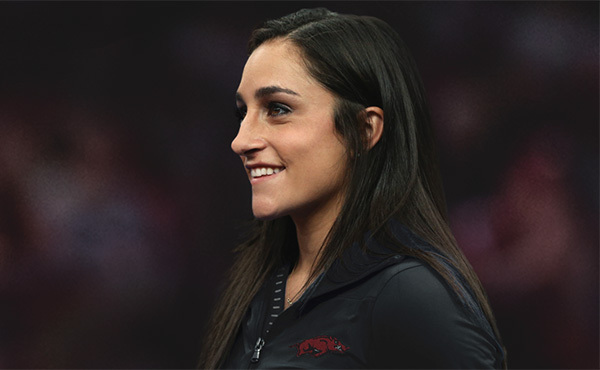 Jordan Bowers, 53.850 total: 53.850, all-around; 13.950, vault; 14.200, uneven bars; 13.750, balance beam; 11.950, floor exercise. Tori Tatum, Chanhassen, Minn./Twin City Twisters, 53.850 total: 53.850, all-around; 14.400, vault;13.500, uneven bars; 13.050, balance beam; 12.850, floor exercise. Sunisa Lee, St. Paul, Minn./Midwest Gymnastics Center, 53.250 total: 53.250, all-around; 13.300, vault; 13.800, uneven bars; 14.000, balance beam; 12.150, floor exercise. 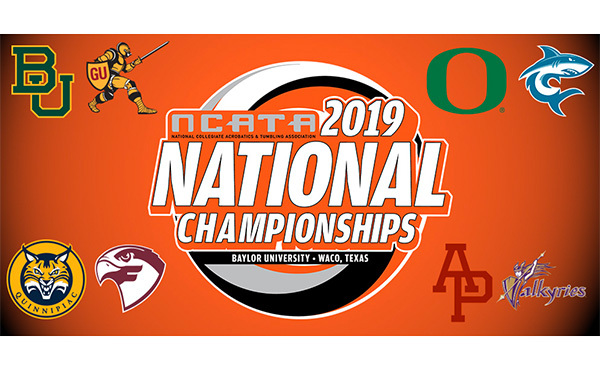 Sophia Butler, Houston, Texas/Discover Gymnastics Inc.
GK, a long-time partner of USA Gymnastics, recently became the title sponsor for the GK U.S. Classic and the GK Hopes Championships. The Schottenstein Center, in partnership with the Greater Columbus Sports Commission, is playing host to two events. Columbus has held the 2012 and 2016 post-Olympic tour, as well as the 1992 U.S. Championships.